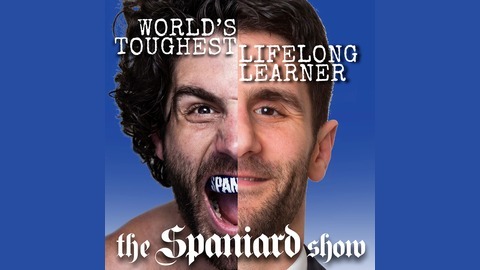 The Spaniard Show is your one-stop-shop for lifelong learning.Host Charlie "The Spaniard" Brenneman is the World's Toughest Lifelong Learner. A former junior high Spanish teacher, The Spaniard left his job to pursue a career in professional fighting/the UFC, and in 2011, he was ranked #7 in the world. Today, he passionately and relentlessly promotes lifelong learning on stage, page and screen.Our mission is to teach and inspire lifelong learning. 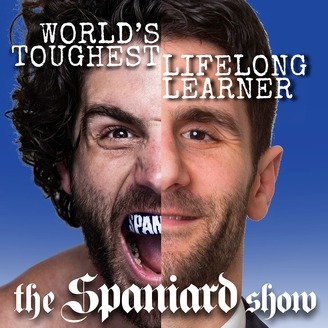 The Spaniard Show offers four different tracks: AMXbooks (short, daily episodes highlighting lessons learned in books), AMXkids (weekly episodes highlighting lessons learned in kids books), AMXtalks (weekly interviews and conversations) and AMXweekly (a recap to the week's learnings). "The world is a book and those who do not travel only read one page." Ross Edgley fills us with more of his travels today as we explore some philosophy and human tendencies on today's AMXbooks. We also reflect on a profound quote by baseball great Satchel Paige regarding age.